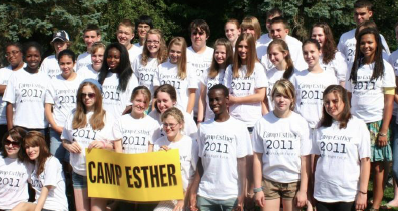 Camp Esther is open to any prolife teenager who wants to know more about getting involved and saving lives. If you want to learn how to be an effective prolife leader and meet other pro-life teens from across New York State, Camp Esther is for you. Sessions blend education, motivation, and advocacy into a camp that is intense, powerful, and a ton of fun. Meeting some of the most awesome prolife teens from across the state! And, through the generosity of a Rockland resident, Rockland teens can attend for free. The $100 tuition will be paid for. So if you’re a prolife teenager, consider Camp Esther – it’s only a weekend, but your experience there could change the rest of your life. Invite a friend who feels the way you do. If you’re an adult who knows of a prolife teenager, please tell them about this opportunity. For more information, contact Rockland Right to Life. We’ll coordinate transportation. Call 201-732-8277 or email RocklandRTL@optonline.net. We need to know by June 30. This entry was posted in Human Development, Pro-lifers in Rockland, The Right to Life by rocklandrtl. Bookmark the permalink.